The Beyond EDM Blog welcomes new contributor Jason Daniel who will be covering the Atlanata EDM scene with event reviews and articles. If you're a promoter and would like to have your event covered and featured on our well ranked electronic dance music blog, send us a request through our Contact Page. And now on to the review. Local Atlanta DJ, Ra, set a high standard for the night before most of the crowd got there. During his set he played unique type of electronic music that is upbeat, jazz filled and contemporary. He incorporated music by Haywyre and Wave Racer, two great electronic producers at the forefront of this new wave of contemporary electronic music. 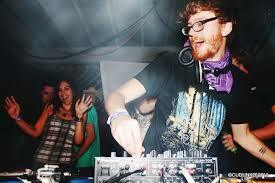 Ra has played at many venues in Atlanta for years, recently playing at Opera and Iris. You can find his original music on the Ra Soundcloud page. Producer and DJ Hug Life has been going strong since 2009, first starting off with the moniker of “DJ Slink”. 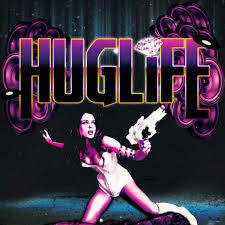 While starting out doing mainly remixes HugLife altered his name to start a new era of trap music. While mostly remixing popular electronic songs, he has garnered a huge following on Soundcloud, despite recently losing it. 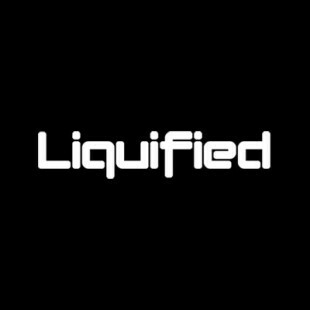 He has re-uploaded most of his original work including his remixes of Daft Punk, Rustie, and Flume. Opening for Minnesota on his tour around America, HugLife dove in head first, captivating the crowd with his signature trap and hip hop style. Wasting no time, he immediately went in with heavy hitters as the fans started to funnel into Terminal West. Not catering to an average DJ set, Huglife used a MIDI keyboard as many other artists do. He also scratched and added a unique flair to his set that is not seen in just any performance. Huglife orchestrated the perfect opening set, sharing his energy and love for music with the crowd while getting them energized and ready for the distinct and incredible style of Minnesota. You can find his music on the Huglife Soundcloud page. Longtime producer and DJ Minnesota (Christian Bauhofer) has been in the music scene since a young age of 12. He was not fully invested into the Electronic Music culture until 2009 when we was introduced to it through the Symbiosis Gathering. Ever since, he has striven to make his music stand out from the rest, crushing genres by combining heavy bass music that incorporates elements of Glitch Hop and Dubstep. His style is so unique the only comparisons that can be made are with other spectacularly unique artists like Bassnectar, Adventure Club, Big Gigantic and Paper Diamond to name a few. His fan base has increased exponentially as his music has become incorporated into more well-known artists’ sets and has ultimately given him the opportunity to play shows all around the world for Electronic music lovers everywhere. Closing out the night at Terminal West, Minnesota showed off his skillful as he kept the crowd amped and focused on his incredible music style. There was no particular moment when Minnesota did not have the crowd’s attention, as he promoted G Jones many times during his set along with playing his fan favorite songs. G Jones, an up and coming new artist that focuses on bass and grime along with a melodic touch, has been gaining a lot of attention from the more popular artists as both Minnesota and HugLife played his music to prove the lasting power of G Jones’ bass heavy, hard-hitting drops. While playing his signature songs, including his newest tune Colors ft. Jackie Rain and his remix of Gold by Adventure Club, Minnesota showed his love for his fans keeping the crowd enthralled and mesmerized by the light shows and heavy bass sound. I would definitely recommend seeing Minnesota when you get the chance as he shows that Electronic music does not have to be stale and generic, but it can be fun, new, energetic, and a huge step forward for a new era of producers all around the world. You can find Minnesota's music at his Soundcloud page and you can also check out G Jones’ music at to get a feel for what is surprising crowds everywhere. Follow Beyond EDM on Twitter for the latest EDM event news, or join us on the Beyond Events Facebook page. Our EDM Blog will keep you up to date on Atlanta EDM events, Atlanta raves and news about upcoming 2016 Atlanta music festivals.